The Highland Cow Who Won't Stop Eating! This sweet, funny story is brought to life by Jo Allan's vivacious illustrations. 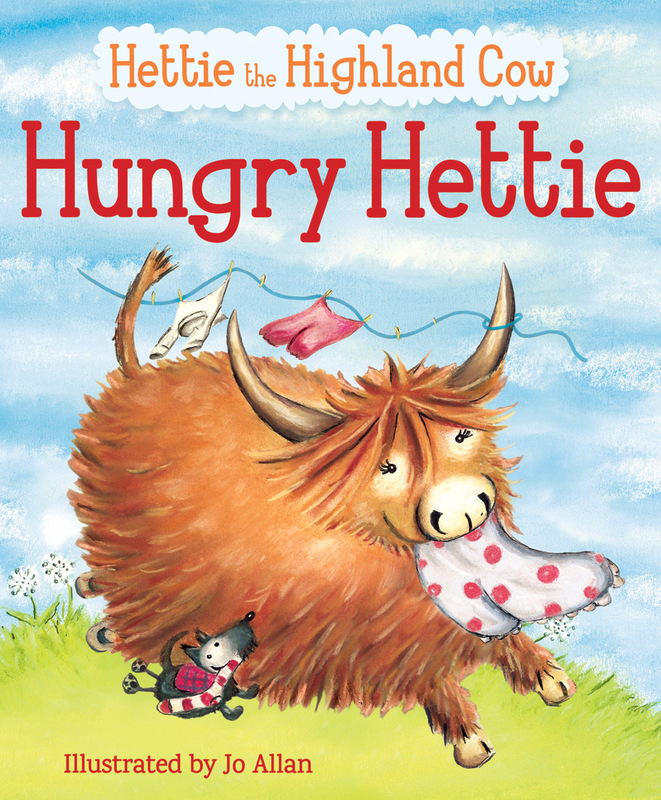 Hettie the Highland cow eats everything that she can find but she soon learns her lesson when she gets a stomach ache. Hettie the Highland cow is always hungry, so Callum and Kirsty bring her lots to eat -- porridge, sandwiches, shortbread, fish suppers and ice cream! But perhaps a cow can eat too much...? Hettie the Highland cow is always hungry. She eats grass, thistles, hedges and even Granny Macleod's washing! When Callum and Kirsty visit her, they give her treats to eat -- porridge, sandwiches, shortbread, fish suppers and ice cream! Watch Hettie grow as she eats her way through many Scottish favourites, until she and the children finally learn their lesson. This sweet, funny story is brought to life by Jo Allan's vivacious illustrations. "Her journey through the Highland countryside on a comical quest for food is bound to entertain the children it is aimed at, those aged between two and five years old." Jo Allan grew up on the east coast of Scotland and has been drawing since she can remember. She studied at Telford College in Edinburgh and loves to create humorous characters. She has worked on commissions for Edinburgh Council, The Forestry Commission and the Royal Botanic Gardens. She illustrated a book of the Gaelic alphabet, which won the Best Children's Book of the Year in the Gaelic Literacy Awards 2004. She has also worked as a florist and now runs her own dog-walking business. 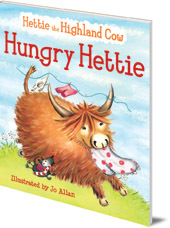 Hungry Hettie is in Floris Books' range of Picture Kelpie Scottish children's picture books. Parents of young children might also enjoy the dedicated Picture Kelpies website. Download and print out games, colouring and jokes for your children based on Picture Kelpie favourites, and find out more about these quality Scottish picture books to enjoy together.